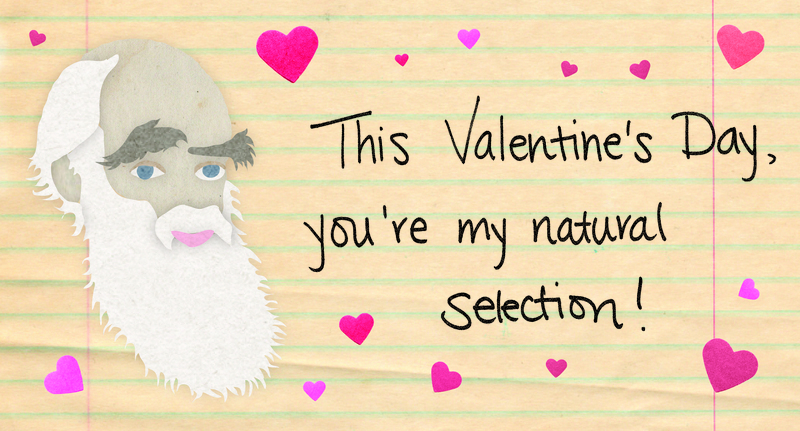 Continuing our tradition of merging the two great holidays that take place this week, we bring you the second edition of our Darwin Day Valentine! Honor the intellectual breakthroughs by the pioneering Charles Darwin (who turned 205 on Wednesday!) and send this e-card along to your sweetie today.